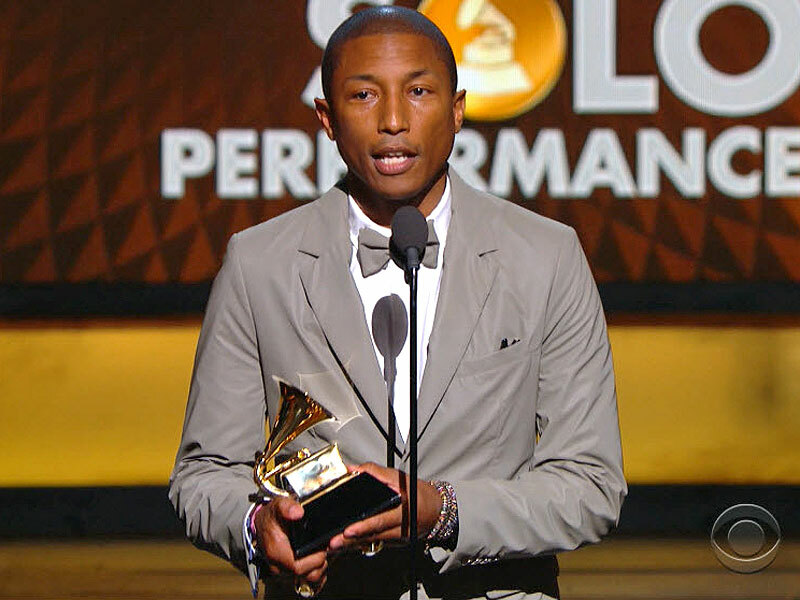 Pharrell Williams is officially "Happy" after winning the Grammy for best pop solo performance on Sunday for his feel-good smash hit. Williams took home the award over Taylor Swift for "Shake It Off," Sam Smith for "Stay With Me (Darkchild Version)" Sia for "Chandelier" and John Legend for "All Of Me (Live)." "I'm not going to make this awkward and long. I was so prepared for everybody else, who is so talented, to walk away with that award. I'm honored to be grouped with them,” Williams said during his acceptance speech. The award was presented by Jessie J and Tom Jones at the Staples Center in Los Angeles. This is Williams's third win of the night and the 11th Grammy of his career.